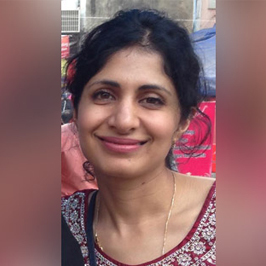 Dr. Puneeta Tandon is Associate Professor in the Division of Gastroenterology, Department of Medicine, at the University of Alberta. Her research interests include frailty and palliative care (end of life communication, symptom control) in cirrhosis and the impact of nutrition, physical activity and mind-body therapies (meditation, yoga, ayurveda) on health and well-being. Her current projects include a pilot trial in non-cirrhotic participants evaluating the impact of a 14 day healing meditation retreat intervention on serum cytokines and the gut microflora. Dr. Tandon is actively seeking collaborators with expertise in utilizing PBMC samples to evaluate the gene expression associated with energy metabolism, mitochondrial function, insulin secretion, telomere maintenance, the inflammatory response and stress-related pathways. Future projects will evaluate the patient adherence to and impact of integrated mind-body therapy interventions on clinically relevant outcomes in cirrhosis. In 2016, Dr. Tandon will also be starting funded projects to i) develop resources to improve the quality of end-of-life discussions in patients with cirrhosis and ii) develop educational nutritional resources for patients with cirrhosis.